MBARARA – The New formation political ideology chairman, Gen Mugisha Muntu asked all members joining him to work on party identifications for scoring numbers in the new organization. 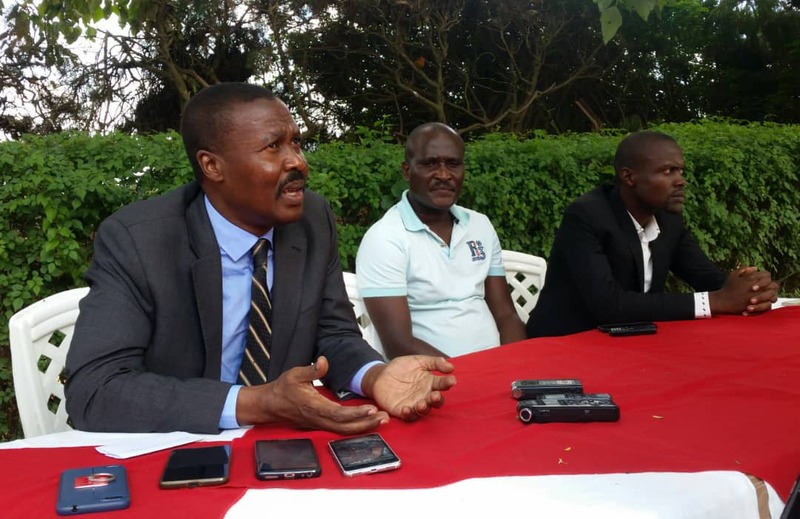 Muntu made this call during a press conference at Littlewoods INN in Mbarara town on Sunday while meeting a section of the members who recently denounced and resigned their FDC party leadership positions. Muntu noted that as they prepare themselves to form a new political party, so far members who have already joined the struggle should concentrate on party development other than promoting individuals. “I think 2019 is going to be a very busy year for us in the new organization because besides building new structures upward, we shall also spend a lot of time branding the new organization and also communicating on an intense scale on a sustained basis for people to relate us with the things they would want as a solution to the challenges we have,” said Muntu. Unlike other political parties, Muntu says New Formation will be a solution to the bad political culture entrenched on dictatorship. He also confirmed that the new party has not got any member as yet until it is officially launched on December 25, 2018. Muntu revealed that the exercise of recruitment which is ongoing is informal but membership will start after launching the party next month. “I think we are on track because we have already put in place a significant number of requirements for the formation of the party,” Muntu asserted. Gen Muntu added that he will not tolerate any new formation member fighting other opposition parties.